You are here: Home / Marketing / Make Planning Easier! Let’s face it! We all want to plan better, be more prepared, and not have to pull miracles out of our back pocket to make our business run. 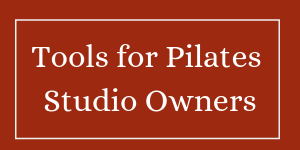 After months of talking about how we “should” plan the whole year ahead of time – my friend & client, Carey Sadler and I sat down to actually plan 2017 for her Pilates studio. It took about 3 hours (and a glass of wine), but we came up with a pretty solid plan for themes, promotions and marketing for the first 1/2 of the year, and we have the last two quarters pencilled in. For each month we specified a theme or promotion – or sometimes both! Example? Back to School Bingo or “Couples February”. We tried to figure out the promotions, workshops and special events that would be held that month. We also specified planning tasks that needed to be done for the next month! We planned workshops and events, and themes for each month that support her studio theme for the entire year! It’s easy to see the workshops and events that need to be entered into FaceBook, and if you want to take it a step further — you could also plan your Facebook Ad Budget at the same time! When I tried to format the results of the document by combining Carey’s notes with mine – I added a column so we could also make goals for sales, new clients and attendance! What we have now still needs some work, but it’s easy to read, and easy to spot things that still need to be done. We are currently dealing with a paper document — but I’m planning on entering it into a google calendar so that we have digital reminders as well as that piece of paper! We can also use our monthly planning sessions to pencil in things that might come up, or make tweeks where needed! 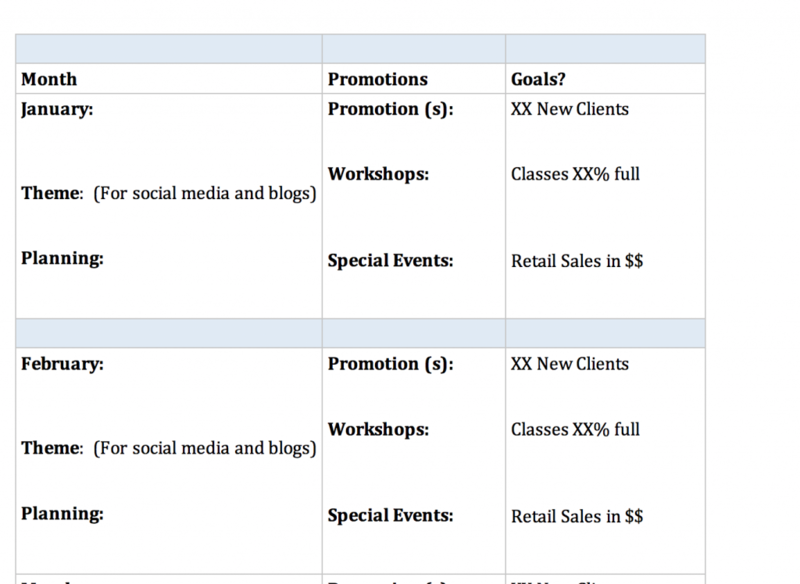 We finalized workshops for the first 4 months of the year, but lots of instructors don’t have their availability for later in the year yet — so we have those in the planning category so we don’t forget! 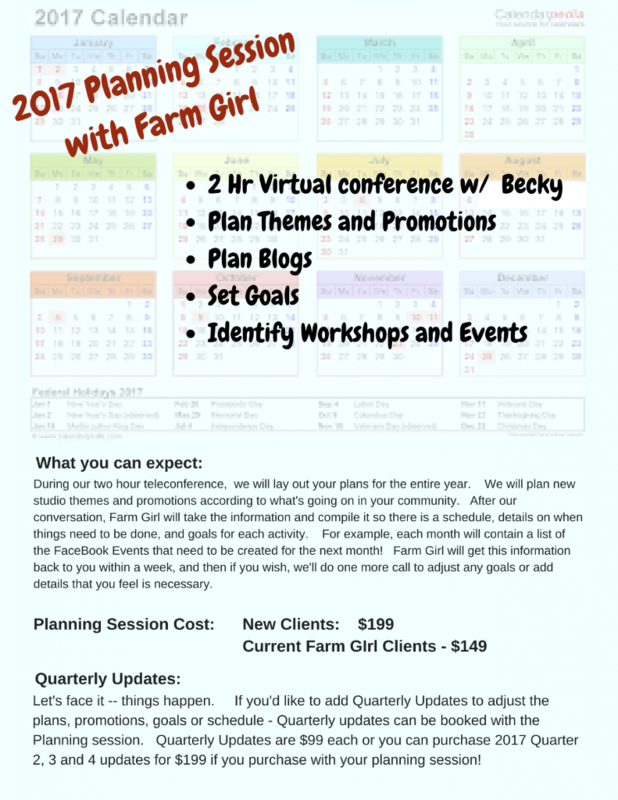 As soon as I got Carey’s plan documented (combining her notes with mine into a table format that we could keep handy through the year), it was easy to see that the next step would be offering that planning session to other Farm Girl clients, and even breaking it down to quarterly planning so it wouldn’t be so overwhelming. We talked about how much easier it would be to do subsequent years because you would have that first year to build on! I have made a template so that this will be easy — if you’d like me to send a copy — just email and I’ll send you the PDF!! If you’d like to schedule a planning session for the next 3 months or the next 12 months — please purchase the planning session on my website, and let me know your preferred date! If you have any questions — just email me! Previous Post: « Taming the Social Media Beast! !